We advice clients on the applicability and levy of Central Sales Tax and Value Added Tax (VAT). We assist clients in obtaining registrations under CST & VAT and in complying with the statutory obligations. There is a gamut of those registrations required for the presence of a legal business entity. The experts at Tranciscolabs do it all for you saving you your precious time. Focus on your work while we help you with various registration processes. Filing Income Tax and Wealth Tax returns for all kinds of assesses, like individuals, HUF, AOP, Firms, LLP, Trusts, company, etc., whether residents or non-residents. Filing and pleading assessments and appeals under various provisions of IT Act. With the help of our experts, we have been affianced in rendering CST Registration Services. These services are delivered in complete conformism with the set industry values keeping in mind the miscellaneous needs of our reputed customers. We deliver these services at reasonable prices to the customers. Our company has gained immense accolades in the field of providing CST Consultancy Service to the clients. This service is rendered by our experienced professionals keeping in mind defined industry norms. CST Consultancy Service is known for timely execution, quality approved and hassle free management. We are listed amongst the top firms of the market engaged in offering a large collection of CST Registration Services to the clients. These services are cost effective and rendered according to the clients requirements. Apart from this, we offer these services in the well planned manner to the customers. Our company has created niche in the field of providing CST Consultancy Service. We provide Consultancy in Registration under The Gujarat Value Added Tax Act, Registration under CST Act, Online Filing of Returns, Rate of Tax under VAT Act , Consultancy of deposit of VAT, Consultancies on VAT and CST Act, of Sale of fixed assets, Objections, appeals. 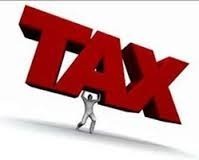 APVAT & TVAT / Sales Tax are state level taxes levied on sale of goods, work contract and hiring of goods. Since the introduction of VAT, compliance requirement has increased manifolds and required expert services for maintenance of records and calculation of tax liability. B Srinivasa Rao & Co.
Bsis Management Consulting Pvt. Ltd.
Cst: 1. Registration of cst, vat, et, service tax, central excise, and all indirect tax, making purchase, sales, stock register along with stock transfer from head office or branch to branch, all the matter is advise in all over india. our associates are allover in india. we are providing service to our client for allover india.